This month’s feature highlights the work of local community partner Foodlink, the Feeding America food bank serving 10 counties. In fiscal year 2017, Foodlink distributed more than 17 million pounds of food throughout the region. The data in this map comes from Feeding America’s report, Map the Meal Gap 2018, and illustrates variable food insecurity rates across the region. 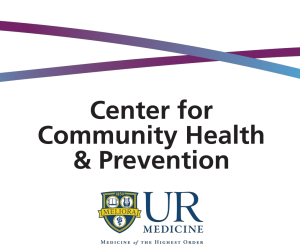 Rates are derived from factors that research has shown contribute to food insecurity, such as unemployment, poverty, demographic and household characteristics, and the estimated cost of a meal in the geographic area. National estimates show that nearly 13% of individuals in the United States are food insecure, or “live in a home without consistent access to adequate food for everyone to live healthy, active lives” (Map the Meal Gap, 2018). 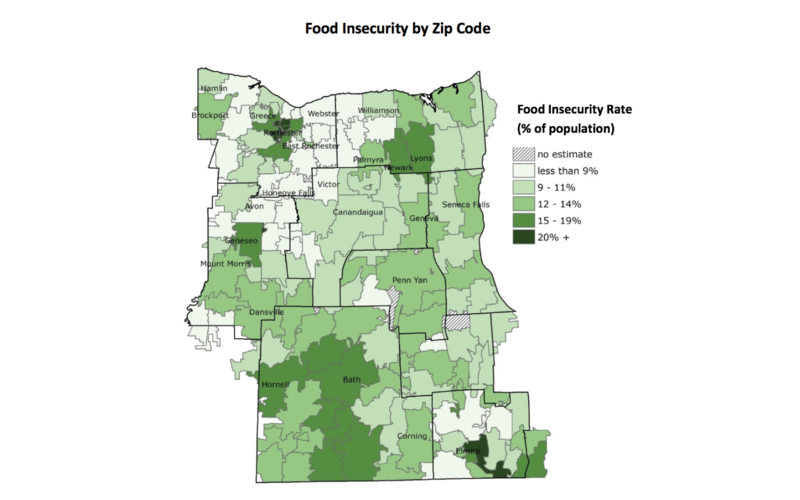 The rate of food insecurity for our 10-county region is 11.7%, but varies widely from the zip codes in white that have a food insecurity rate less than 9% to those in dark green where more than 20% of the population is food insecure. Check out the interactive tool on Feeding America’s website to find more about this data. Stop by the RocHealthData map room to geographically map a number of food insecurity variables. Visit Foodlink’s website to learn about local efforts to make sure everyone has access to adequate food.